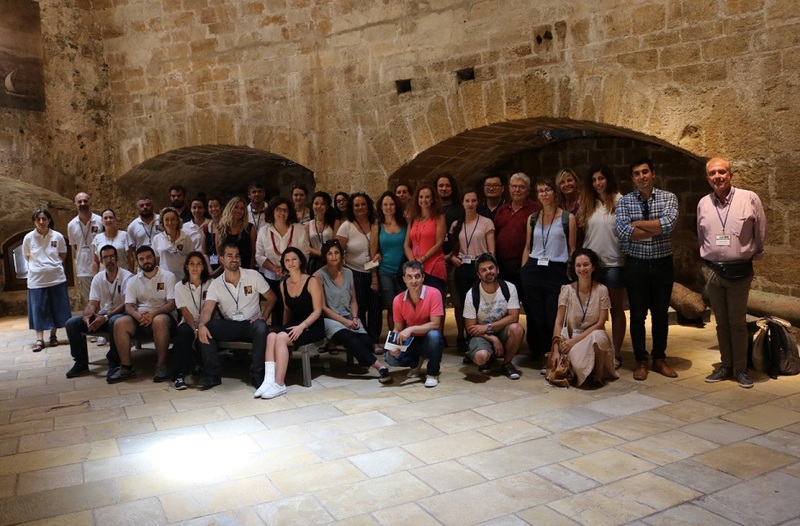 HERACLES was the subject of a 2-days session within the OPTO-CH 2018 summer courses, held in Heraklion, EL on 5th and 6th July 2018.
a) to introduce participants to applications of advanced laser-based technologies in Cultural Heritage (CH) science, diagnostics and conservation. Lectures from experts on modern laser diagnostic and analytical techniques, as well as on laser cleaning methodologies were combined with practical demonstrations and laboratory hands-on sessions. In parallel, experts researching on advancing the level of heritage monuments resilience (analysis and understanding of materials’ degradation mechanisms, synthesis of new protective materials, in-situ diagnosis and monitoring as well as ICT technologies) presented the HERACLES concept. The summer course was concluded with one day of field tests and experiments on-site at the Venetian fortress of Heraklion “Rocca a Mare”. The course gathred around 35 people. The program is enclosed.